This 11-night self-drive itinerary is ideal for the adventure traveller looking to explore all of the highlights of Malawi, Africa's friendliest country. You'll arrive and depart from Lilongwe, a bustling city located along the banks of the Lilongwe River. It's a true African city with laid back pace.Time spent in the Shire Highlands will leave you breathless - expect sweeping views of green valleys, tea plantation and the incredible Mount Mulanje. The Majete area is where you'll spend time enjoying bush game drives. The remainder of your days are spent relaxing on the shores of Lake Malawi in a self-catering villa overlooking the "inland sea". 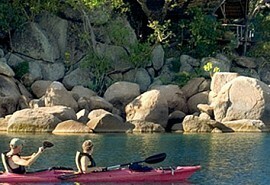 Either soak up the sun or spend time snorkelling in the crystal clear waters of Lake Malawi. From USD 1400 per person . This is subject to change depending on season and availability. Upon arrival at Kamuzu International Airport you will be met by a representative and transferred to Burley House. Your 4x4 car hire will be delivered to you and a full briefing on what to expect will be given to you. Shopping, driving and points of interest will be pointed out to you. Burley House is set in an upmarket suburb just outside Lilongwe. Burley is set in tranquil gardens and is in a quiet area. It provides a residential "home away from home feel". The staff are friendly and welcoming; and the food is fantastic. Today you will depart Lilongwe on a 5 hour drive to the Southern part of Malawi heading towards your accommodation at the Chawani Bungalow in the Shire Highlands, where you will spend 3 nights. En route you'll drive through scenic villagesand experience a range of different landscapes. The day will end driving into the Satemwa Tea Estate surrounded by lush emerald fields of tea.The estate has much to offer in terms of activities - there are mountain bikes, quad bikes and spectacular bird life. The Chawani Bungalow is a charming old tea planter's house located on a working tea estate. There are four bedrooms and the bungalow is located in the heart of the well manicured gardens. Accommodation is located close to the spectacular Mount Mulanje, home to waterfalls and great walks. 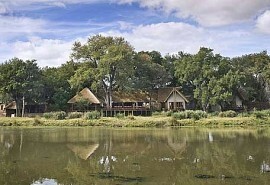 Spend 2 nights at Thwale Lodge in the Majete Game Reserve, which is an hour and a halfs drive into the Shire Valley. Guests can do the activities in their own vehicle or book a guided trip through the lodge. Majete is one of Malawi's hidden gems and you'll be able to spot wildlife such as elephant, leopard, kudu, eland and Black Rhino. Thwale Lodgeis on a full board basis which means you do not have to worry about food. The unique thing about Thwale is that guests can opt to go elephant tracking on foot should they be looking for something adventurous to do. Accommodation is rustic, simple but boasts great views. Head back to Blantyre to stock up on supplies for your time at the self-catering Madzi Kuwala. There are no stores available apart from in Blantyre. 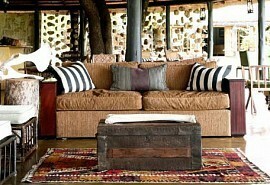 You will spend 4 nights at the Madzi Kuwala Lake House. 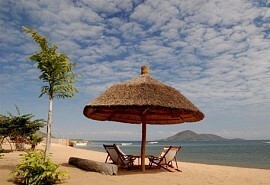 Madzi Kuwala Lake House is a private, self-catering villa overlooking Lake Malawi. Both the swimming pool and deck rest on an overhang that looks out over the lake. Decor is fresh, modern and minimalistic. There are a handful of staff available to help with food preparation, giving you more time to spend the evenings taking in the incredible sunset . A great opportunity to go snorkelling, diving and fishing. There are six bedrooms available. Today you'll leave Lake Malawi and head back to Lilongwe for your last night., which will be spent in the Burley House - the same accommodation where you started your tour. A stop at the Mua Mission en-route is suggested. This is where you cn pick up some great local art. After breakfast your representative will collect your vehicle and starter pack. A road transfer will be arranged to Kamuzu International Airport to enable you to catch your connecting flight back home.